What is the essence of Rosh Hashona? Why is Rosh Hashona called the Head of the Year? What should I be thinking when I daven on the High Holydays? The mystical teachings of chassidus illuminate the sublime nature of these days: What is taking place in the celestial spheres, the currents of a yearning soul and the powerful reaction accomplished through the simple sound of the Shofar. 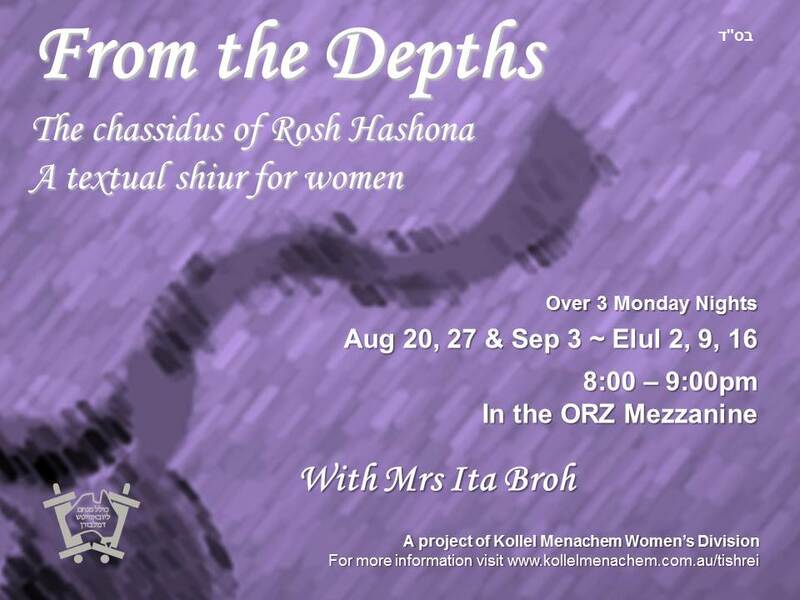 Join us for a fascinating adventure to the depths of your soul and the essence of Rosh Hashona, learning the classic Chassidic discourse Tiku Bachodesh Shofar.